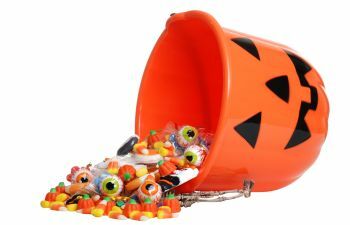 After Halloween passes if you still suffer from constant fears then you probably suffer from anxiety. These terms and feelings usually go hand-in-hand, but there are differences between fear and anxiety. Fear typically refers to an emotional response to a definite and known threat. For example, if you’re held at gunpoint in a dark alley you will likely experience a response of fear. The present dangers are known and can present a clear and distinct emotion of instant and clearly identified fear. This fearful reaction causes anxiety. Anxiety has a more vague or unknown cause for the person experiencing it. Anxiety is related to the possibility that something might happen. For example, if you’re walking down a dark alley you may feel like there is a possibility that someone will hold you at gunpoint, but there is no known or specific threat at the moment. When you suffer from anxiety it can take root in almost every aspect of your life and your family. While everyone suffers from some level of anxiety, when you suffer from it constantly and to a degree that affects your life negatively, it’s time to reach out for relief. Ketamine Healing Clinic offers ketamine IV infusion treatments. Ketamine is a prescription anesthetic that has been safely used for over 50 years in the medical field. It has been used as a breakthrough therapy to treat anxiety. Call and book your appointment today.